As the vast majority of you already know based on the overwhelming amount of attention that he has been receiving in the world of freestyle scooter riding as of lately, JonMarco Gaydos has been on quite the winning streak for the last several months, which is exciting for us at Lucky Scooters because we have been watching Jon develop over the course of the last several years. We always understood that his extreme work ethic and dedication to the sport of freestyle scooter riding, but only time was able to tell just how motivated Jon would be to become one of the top dogs. 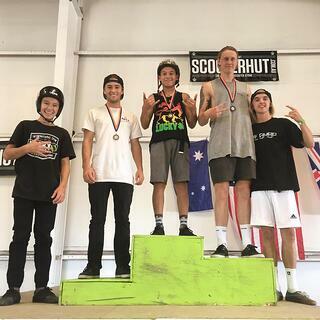 However, now that he has finally reached the point where it is clear that he is one of the top competitors in the entire sport, all that we can really do is sit back, relax, and enjoy all of his phenomenal first place runs, which he has been consistently uploading to the Lucky Scooters YouTube channel. The latest and greatest of these JonMarco Gaydos contest videos features his first place run from Ronka skate park, which I must say is quite remarkable to watch. Jon seems to have this unbelievable natural ability that most other scooter riders have to make up for with a lot of hard work. Jon’s remarkable consistency is certainly paying dividends with each and every single contest he enters. I don’t think that I will ever be able to get over how dialed in he seems to have those 360 front flips. Although Jon is still a very young man, his laser focus has really allowed him to thrive in the sport of freestyle scooter riding, especially in recent events. I think that I speak on behalf of all of us when I say that I cannot wait to see where this young shredder is at with his riding when he is 18 years old. He is definitely one of the hardest working riders in the sport right now, so if he keeps it up, the sky is the limit. The difficulty level of most of the tricks that he is performing is through the roof, which is a large part of what makes him such a phenomenal rider. There are very few freestyle scooter riders out there who can do the things that this kid is doing on a scooter. Hopefully, he keeps the awesome stream of YouTube content flowing because he is definitely a very entertaining rider to watch. Anyways, if I were a young aspiring freestyle scooter rider like many of you out there who are reading this article right now, I would be sure to check out this first place run of Jon’s and take notes because the dude is nothing short of spectacular. Also, be sure to stay tuned right here at the Lucky Scooters blog for more rad Lucky Scooters team rider videos just like this one, along with any and all other Lucky Scooters news, content, and updates. 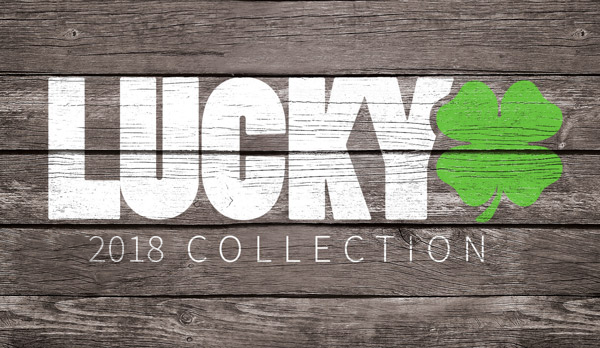 Need Lucky product? Shop HERE! Meet the Lucky team - HERE!